Thank you for a wonderful project. We all enjoyed working with you, and the final product is outstanding. I am still giving out copies to various associates, and the comments on the book are always excellent. Everyone remarks about how the writing, photos, and graphics are very professional. It is a classy product that reflects well on all of us and the company. Founded in 1985, Oakshire has grown from an upstart newcomer to an industry leader with a global reputation for innovation and quality. Under the DOLE® brand, Oakshire labels, and private labels for chains such as Costco, Oakshire is the exclusive supplier to more than 3,000 US supermarkets and hundreds of food service outlets. 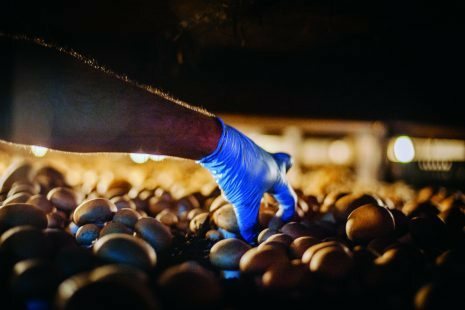 Our research included 20 hours of oral history interviews, facility and farm tours, and of course a visit to Kennett Square’s famous annual Mushroom Festival, of which Oakshire is a Diamond Sponsor. 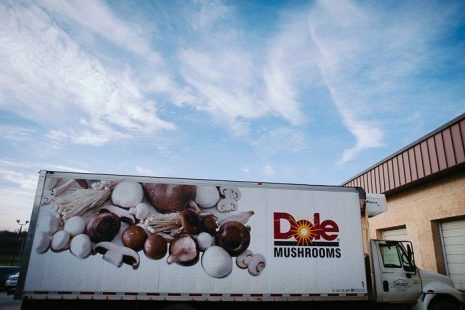 Specialty mushrooms are picked, packaged, and shipped to Oakshire customers on refrigerated trucks within hours of harvest. 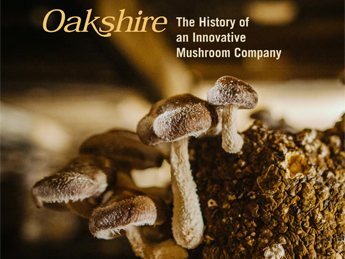 CorporateHistory.net’s Oakshire: The History of an Innovative Mushroom Company earned a Hermes Platinum Award, the highest honor in this international competition sponsored by the Association of Marketing and Communications Professionals. 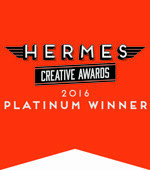 We’re proud to be the only corporate history book publisher to have won this prestigious award in 2016. Big things come in small packages: We captured 30 years of Oakshire history in 64 pages. 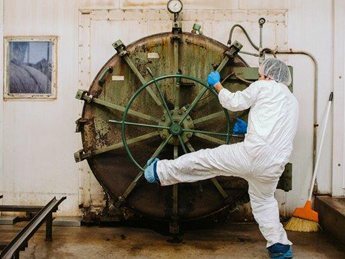 Fresh photography includes this fun shot of Victor Velasquez opening the autoclave in the Golden Oak clean room. 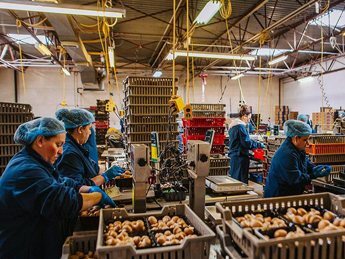 Oakshire’s family-friendly culture is evident in the packing room, where many workers are longtime employees.